The only thing more beautiful than a one of a kind engagement ring is the proposal that goes with it. These are some of our favorite engagement stories from Lauren Wolf's clients. "On our second morning in Iceland, Elliot woke us up at 7 am, ready with a thermos of coffee and a lovely picnic breakfast. We drove out to Reynisfjara beach, with its beautiful black sand and stunning rocky towers. We sat together, sipping coffee and taking in the beautiful views, when Elliot completely surprised me with this gorgeous grey diamond ring, which he had kept hidden in his camera bag! We absolutely loved the way ring seemed to perfectly match the black sand and stone." "Preston swept me away for a weekend in the sequoia national park, we stayed in a small old hotel in Three Rivers, then hiked up in the mountains the next day. As I climbed to a high point for a photo op, Preston kneeled below me, ring in hand, asking if I would spend the rest of my life with him. 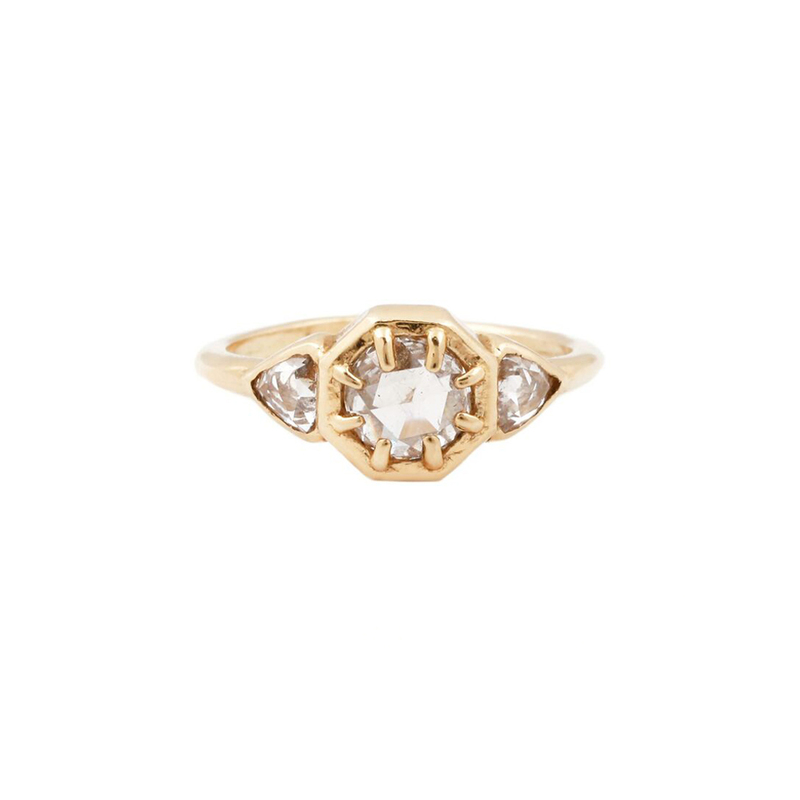 He spent weeks customizing the ring with Lauren knowing how much I coveted her designs." "I surprised Adriana by proposing with the help of her family at her parents house on Thanksgiving. I knew Adriana really liked Lauren's jewelry and she was amazed by the ring! The rings Lauren created are the perfect reflection of Adriana's style and Lauren's influence. We could not be happier." "After 9 years together, Michael decided that he was going to propose in my favorite place on the planet: Paris. I had lived there in college during an important time in both of our lives and after finding out that a film we had worked on was accepted into the Cannes Film Festival, I told Michael that even if it was for 24 hours, we had to go back. I wanted to show Michael my old apartment in the 10th arrondisment and the Canal St. Martin... When we turned the corner I had my back to him and was looking up, pointing to my window to show him my old place. When I turned around, he was on one knee and the rest is history." "Matt proposed to me at the iconic palm tree in Islamorada in the Florida Keys, at night on an empty beach except for the two of us. The tree happened to be lit up with holiday lights, a happy unplanned coincidence. He picked this spot where we fell in love about a year earlier on our first romantic getaway together." "After lunch, we took a little walk which led us to the High Line. At the start of the path, he gave me a handmade book with 8 pages (at this point I thought it was 7), one page for each stop of the High Line, one page for each year we’ve been together and a message describing the surrounding building’s significance to our relationship. He also got a photographer to follow us and take pictures of the entire thing. Of course, I grew very suspicious at this point. While being consumed in my thoughts, half-confused and half-touched, he walked me to the viewing deck of the High Line, a place we go to very often and love, I saw our friends and family seated there waiting for us and before I could process it and piece everything together, I turned around saw him on one knee."